- Originally a 1st round (1st pick overall) draft choice by the San Diego Chargers in 2004. Obtained by the Giants in a trade for quarterback Philip Rivers (whom the Giants had taken with the 4th pick), the Giants’ 2004 3rd-round pick, and 2005 1st and 5th-round selections. - Manning won the Rozelle Trophy as the Most Valuable Player in Super Bowls XLII and XLVI. He is 1 of 5 players in NFL history to win multiple Super Bowl MVP awards, and all of them are quarterbacks (Tom Brady, 4; Joe Montana, 3; Terry Bradshaw and Bart Starr, 2 apiece). - Manning’s record as a starter is 111-103 (.519) in the regular season and 8-4 (.667) in the postseason. The 111 victories are the most by a quarterback in Giants history. Manning set the record with his 96th career victory at Tampa Bay on Nov. 8, 2015. Simms, the former record-holder, won 95 games from 1979-93. Manning is 82-78 against the NFC and 29-25 vs. the AFC. He is 41-40 in NFC East games, 59-49 at home and 52-54 on the road. - Manning started 210 consecutive regular-season games from Nov. 21, 2004 to Nov. 23, 2017, the 3rd-longest streak by a quarterback in NFL history. Only Brett Favre (297) and Peyton Manning (208) started more consecutive games than Manning. - Manning’s career totals of 7,396 attempts, 4,424 completions, 51,682 yards, 339 touchdowns, and 228 interceptions are all Giants franchise records. He has 2,749 more attempts, 1,848 more completions, 18,220 more yards, 140 more touchdown passes, and 61 more interceptions than anyone else in Giants history. Phil Simms is No. 2 in every category except interceptions, where Charlie Conerly is 2nd. - Manning was the co-recipient (with Arizona wide receiver Larry Fitzgerald) of the 2016 Walter Payton NFL Man of the Year Award. - Followed his father, Archie, and brother, Peyton, into the NFL…Archie was the 2nd pick of the 1971 draft and played 14 years with New Orleans, Houston and Minnesota. Peyton was the 1st choice of the 1998 draft by the Indianapolis Colts, was a 5-time NFL Most Valuable Player, and was the winning quarterback in Super Bowl XLI with Indianapolis and Super Bowl 50 with Denver. - Manning’s arrival marked the 1st time the Giants came out of a draft with the top player selected since 1965, when they chose Auburn running back Tucker Fredrickson. - Manning is the only Giants player to win the Rozelle Trophy multiple times. Previous Giants Super Bowl MVPs include quarterback Phil Simms (Super Bowl XXI) and running back Ottis Anderson (Super Bowl XXV). - In the Giants’ 21-17 victory over New England in Super Bowl XLVI on Feb. 5, 2012, Manning hit 9 different targets while completing 30 of 40 passes for 296 yards, a touchdown and no interceptions (a passer rating of 103.8). It was the 25th time in Super Bowl history a quarterback won the MVP award. That has since increased to 29 times. Manning is 1 of 21 different quarterbacks to be named the MVP of a Super Bowl. - Manning was named MVP in Super Bowl XLII after completing 19 of 34 passes for 255 yards, 2 touchdowns and an interception that caromed off Steve Smith’s hands. It was the 2nd year in a row a Manning won the award; his brother received the honor after Super Bowl XLI the previous season. - Manning is 1 of 32 different starting quarterbacks to win a Super Bowl and 1 of 2 Mannings. Peyton won titles with the Colts in 2006 and the Broncos in 2015. The Mannings were the 18th set of brothers to play in the Super Bowl and the 1st pair of brothers to play quarterback. - Manning is 1 of 21 quarterbacks to win a Super Bowl without losing 1. - Manning is 1 of 12 quarterbacks to win at least 2 Super Bowls. - Manning is 1 of 8 quarterbacks taken with the 1st overall selection in the NFL Draft to start a Super Bowl. The others are Terry Bradshaw (4-0 in Super Bowls), Jim Plunkett (2-0), John Elway (2-3), Troy Aikman (3-0), Drew Bledsoe (0-1), Peyton Manning (2-2), and Cam Newton (0-1). The former No. 1 choices are 15-7 in Super Bowls. - Manning is 1 of 6 quarterbacks with at least 100 victories and 2 Super Bowl triumphs with the same team, joining Terry Bradshaw, Brady, Elway, Joe Montana, and Ben Roethlisberger. - Manning and Brady were the starting quarterbacks in Super Bowl XLVI, as they were in Super Bowl XLII. It was the 3rd starting quarterback rematch in Super Bowl history and each resulted in a sweep. Terry Bradshaw and Pittsburgh defeated Roger Staubach and Dallas in Super Bowls X and XIII, and Troy Aikman and Dallas beat Jim Kelly and Buffalo in Super Bowls XXVII and XXVIII. - Super Bowl XLVI was the 1st Super Bowl in which both starting quarterbacks had won a Super Bowl MVP award. - Manning was the 1st quarterback to start 2 Super Bowls for the Giants. In their first 4 Super Bowls, 4 different quarterbacks started for the Giants. The others were Phil Simms, Jeff Hostetler and Kerry Collins. The Giants were the 1st team to start a different quarterback in each of their first 4 Super Bowls. - Manning is the only quarterback to wear No. 10 and win a Super Bowl. - Manning has 5 game-winning 4th quarter or overtime drives in the playoffs. He is 1 of 4 quarterbacks since the 1970 merger to accomplish that feat, joining Brady (11), John Elway (6) and Joe Montana (5). - In 2011, Manning set an NFL record with 15 fourth-quarter touchdown passes. The previous record of 14 was set by Hall of Famer Johnny Unitas in 1959 and tied by Peyton Manning (2002). - Manning has thrown at least 2 touchdown passes against each of the NFL’s 31 other teams. - Manning’s 214 regular-season starts place him 3rd among active quarterbacks entering the 2018 season, behind New England’s Tom Brady (251) and New Orleans’ Drew Brees (248). - Tom Coughlin was the Giants’ head coach during Manning’s first 12 seasons. Their 183 starts together is the 3rd-highest total for a quarterback/coach combination in NFL history, exceeded only by New England’s Brady and Bill Belichick (251 entering the 2018 season) and Miami’s Dan Marino and Don Shula (184 games from 1983-95). Manning and Coughlin hold the record for the longest streak of consecutive starts by a quarterback/coach tandem. - Manning’s 210 consecutive starts is a record for Giants quarterbacks. The previous mark of 69 starts in a row was set by Fran Tarkenton from 1967-71. - Manning’s 210 consecutive starts is the longest streak by a Giants player since the 1970 merger. Former offensive lineman David Diehl is second with 120 straight starts from 2003-10. - Manning threw for at least 3,000 yards and 20 touchdowns in 8 consecutive seasons from 2005-12, the 5th-longest such streak in NFL history. Peyton Manning holds the record with 13 seasons in a row. - Manning and New Orleans’ Drew Brees were the only quarterbacks to throw for at least 3,000 yards and at least 20 touchdown passes every season from 2005-12. - Manning is the 1st Giants quarterback to throw for more than 3,000 yards in 13 consecutive seasons, the 1st to have six 4,000-yard seasons (2009-11, 2014-16) and the 1st to throw at least 20 touchdown passes 8 years in a row. - Manning’s 7,396 attempts, 4,424 completions, and 51,682 yards all place him 6th in NFL history, and his 339 touchdown passes leave him 8th, 3 behind Tarkenton and the Chargers’ Philip Rivers, for whom he was traded on draft day in 2004. - Manning holds the Giants career postseason records with 400 pass attempts, 242 completions, 60.5 completion percentage, 2,815 yards and 18 touchdown passes. His 9 postseason interceptions are 1 less than Y.A. Tittle threw. - Manning’s 4,424 regular-season completions have been to 82 different receivers, with Odell Beckham, Jr. (313), Hakeem Nicks (313), and Victor Cruz (303) the top 3 recipients. His 242 postseason completions have gone to 31 different receivers with Nicks (28), Amani Toomer (26), and Cruz (24), the top 3. - Manning’s 339 regular-season touchdown passes have been caught by 50 different receivers, with Beckham (38), Plaxico Burress (33), and Nicks (26), ranking 1-3. - Manning’s career completion percentage of 59.82 is 1st in Giants history among quarterbacks with at least 1,000 attempts. Kerry Collins is 2nd at (58.51). - Manning has led the Giants on 35 regular-season game-winning drives in his career (victories in which he has rallied the Giants from a 4th-quarter deficit or tie to win). That is the 4th-highest total among active quarterbacks entering the 2018 season, behind Tom Brady (42), Drew Brees (41), and Ben Roethlisberger (39). - Manning has played in 216 regular-season games in a Giants uniform. He shares the franchise record with Hall of Famer Michael Strahan, who played for the Giants from 1993-2007. - Manning has been selected to play in 4 Pro Bowls and played in the game 3 times. He played in the game following the 2008 and 2012 seasons, and was selected but did not play in the 2011 Pro Bowl because the Giants were in the Super Bowl. When he played in his 1st Pro Bowl following the 2008 season Manning became the 1st Giants quarterback to be selected to the game since Simms in 1993. - Co-recipient (with Larry Fitzgerald) of the 2016 Walter Payton NFL Man of the Year Award. - Named The Sporting News’ 2008 Pro Athlete of the Year. - Has played in 216 regular-season games with starts in his last 214 appearances, and has started all 12 postseason games in which he’s played. The 216 games played ties Hall of Famer Michael Strahan for the franchise record. - In the regular season, Manning has completed 4,424 of 7,396 passes (59.8%) for 51,682 yards, 339 touchdowns and 228 interceptions for a passer rating of 83.5…Manning is first in franchise history in attempts, completions, passing yards, touchdown passes and interceptions. - Manning’s two 300-yard games in 2017 increased his Giants-record total to 45. Simms is second with 21. The Giants are 19-26 in regular-season games in which Manning throws for 300 yards, 4-5 when he throws for 400 yards and 1-0 when he passes for 500 yards. They are 2-0 in his postseason 300-yard games. - Manning has started games in 38 different stadiums, including 2 in London – Wembley and Twickenham. His regular-season record in MetLife Stadium is 35-30 (including 1-0 as a visitor). Manning was 26-19 in Giants Stadium (1-0 as a visitor). - Manning has faced 89 different starting quarterbacks and 78 head coaches in the regular season. - In 2017, Manning started all 15 games in which he played. He did not play at Oakland (12/3), ending his streak of 210 consecutive regular-season starts (plus 12 in the postseason) dating back to his rookie season in 2004. - Manning’s 210-game starting streak was the 2nd-longest by a quarterback in NFL history, behind Brett Favre’s 297. His brother Peyton is 3rd with 208 straight starts. Manning started every Giants game from Nov. 21, 2004 to Nov. 23, 2016, when the Giants lost in Washington on Thanksgiving night…Manning’s streak was 90 games longer than that of any other Giants player since the 1970 merger. Offensive lineman David Diehl started 120 consecutive games from 2003-10…The 210-game streak was more than three times longer than the previous record for a Giants quarterback. Pro Football Hall of Famer Fran Tarkenton started 69 games in a row from 1967-71. - Manning completed 352 of 571 passes (61.6%) for 3,468 yards, 19 touchdowns, and 13 interceptions, for a passer rating of 80.4. It was the first season since 2013 he did not throw for at least 4,000 yards or at least 20 touchdown passes…Manning was sacked 31 times, increasing his career total to 359. - Manning owns the 6 highest single-season completion totals in Giants history: 387 in 2015, 379 in 2014, 377 in 2016, 359 in 2011, 352 in 2017, and 339 in 2010. - Manning is 1 of 3 quarterbacks with at least 300 completions in each of the last 9 seasons. The others are Drew Brees and Philip Rivers. - Manning is 1 of 7 quarterbacks in NFL history to throw for at least 3,000 yards in 13 different seasons, joining Favre (18), Peyton Manning (16), Brady (14), Dan Marino (13), Drew Brees (13), and John Elway (12). - In 2 games against Philadelphia in 2017, Manning threw 104 passes, and completed 72 for 800 yards. All 3 figures are Giants records for a single season against an opponent. All 3 were also the high totals for any quarterback against any team in 2017. On Sept. 24 in Lincoln Financial Field, Manning completed 35 of 47 passes for 366 yards, 3 touchdowns and 2 interceptions. In the rematch on Dec. 17 in MetLife Stadium, Manning completed 37 of 57 passes for 434 yards, 3 touchdowns, and 1 interception…The 57 passes were the 2nd-highest total of his career; he had 63 attempts at Philadelphia on Dec. 22, 2016. Manning’s 37 completions were the 3rd-highest total of his career; he completed 41 passes vs. San Francisco on Oct. 11, 2015, and 38 at Philadelphia last season. The 434 yards were the 4th-highest total of his career; Manning threw for 510 yards vs. Tampa Bay on Sept. 16, 2002, 450 at Dallas on Sept. 8, 2013 and 441 vs. San Francisco on Oct. 11, 2015. - The 366 and 434-yard games against the Eagles were Manning’s only 300-yard performances of the season. The Giants are 19-26 when Manning throws for at least 300 yards in the regular season. - Manning threw 6 touchdown passes against the Eagles, tying his 2nd-highest total against an opponent in a single season. He threw 7 touchdown passes against Washington in 2014 and Philadelphia in 2012. Manning also threw 6 touchdowns against New Orleans in 2015 – in 1 game. - Manning’s 434 yards on Dec. 17 raised his season total to 3,070 yards. It was the 13th consecutive season he threw for at least 3,000 yards, tying him with his brother, Peyton, for the 3rd-longest streak in NFL history. Hall of Famer Brett Favre threw for at least 3,000 yards in 18 consecutive seasons, and Brees has an active streak of 14 straight years. - Manning’s 252 passing yards in the first 2 quarters in that game were his most ever in the first half of a game. He has thrown for more yardage than that in the 2nd half several times. - Manning has thrown 51 touchdown passes vs. the Eagles, his highest total against a single opponent. He has thrown for 49 scores against Dallas. - In the loss at Tampa Bay (10/1), Manning scored the Giants’ first touchdown on a 14-yard run with 3:17 remaining in the 2nd quarter. It was a) his 6th career rushing touchdown, b) his first since Sept. 24, 2014 at Washington, and c) the longest of his career. His previous long touchdown run was a 10-yarder against the Miami Dolphins in London on Oct. 28, 2007. Five of Manning’s 6 rushing touchdown have been in road games. The Giants are 4-2 when Manning rushes for a touchdown. - When the Giants hosted the Chargers (10/8), the starting quarterbacks were Manning and Rivers, who were traded for each other during the 2004 NFL Draft. The game was the first in NFL history in which the opposing starting quarterbacks were from the same draft class and each came into the game with at least 300 career touchdown passes…The pair’s 646 combined touchdown passes entering the game were the 2nd-most by opposing starting quarterbacks from the same draft class, trailing only Pro Football Hall of Famers Dan Marino and John Elway of the 1983 Draft class, who combined for 699 touchdown passes when they faced each other on Dec. 21, 1998. - When the Giants won at Denver (10/15), Manning completed 11 of 19 passes for 128 yards, 1 touchdown, and no interceptions. The 19 attempts were his lowest total in a full regular-season game since he threw 15 passes at Buffalo on Dec. 23, 2007…Manning threw 18 passes in an NFC Divisional Playoff Game in Dallas on Jan. 13, 2008…He threw 10 passes vs. Oakland on Oct. 11, 2009, but played only 5 series in that game, and 19 at Minnesota on Dec. 28, 2008, but did not play in the 2nd half. - A 37-yard completion to Sterling Shepard with just over 10 minutes remaining vs. the Rams (11/5) lifted Manning over the 50,000-yard mark for his career. He was the 7th player in NFL history to throw for more than 50,000 yards. The others are Peyton Manning, Favre, Brees, Brady, Dan Marino and John Elway. - Manning engineered his 35th game-winning, regular-season drive (drives in the 4th quarter or overtime in which the led the Giants from a tie or deficit to win the game) in the Giants’ 12-9 victory vs. Kansas City (11/19)…He ranks 4th among active quarterbacks in such drives, behind Tom Brady (42), Drew Brees (41), and Ben Roethlisberger (30). - In 2016, Manning started all 16 games for the 12th consecutive season, and increased his starting streak to 199 consecutive regular-season games, the longest among active players, regardless of position. He was 1 of 14 quarterbacks to start all 16 regular-season games. - Manning completed 377 of 598 passes (63.0%) for 4,017 yards, 26 touchdowns, 16 interceptions, and a passer rating of 86.0. Manning exceeded 4,000 passing yards for the 3rd consecutive season, and the 6th time in his career. - Manning’s 63.0 completion percentage was slightly less than his career-best of 63.1, set in 2014. - Manning joined Cincinnati’s Andy Dalton and Detroit’s Matthew Stafford as the only quarterbacks to throw every 1 of their team’s passes in 2016. - The 2016 season was the 11th in which Manning threw at least 20 touchdown passes. The only other quarterbacks with more such seasons are Peyton Manning (16), Favre (15), Brady (15), Brees (14), and Marino (13). - Manning led the Giants to an 11-5 record and the 6th postseason berth of his career. - In the home opener vs. New Orleans (9/18), Manning completed a season-high 78% of his passes (32 of 41), including a 34-yarder to Victor Cruz late in the 4th quarter that set up the game-winning field goal…Manning’s 350 passing yards vs. Washington (9/25), increased his career total to 45,112. He became the 10th player in NFL history to reach 45,000 career passing yards. - Manning’s 67-yard completion to rookie Paul Perkins at Minnesota (10/3) was the 2nd-longest of his career to a running back. On Dec. 6, 2009, against Dallas, he threw a 74-yarder to Brandon Jacobs…Manning played his 200th game in a Giants uniform vs. the Vikings (189 regular season and 11 postseason) to become the 10th quarterback in NFL history to play at least 200 combined games with 1 team. - Manning started his 200th game for the Giants (189 regular season, 11 postseason) in a victory vs. Baltimore (10/16) to become the 6th quarterback in NFL history to start at least 200 games for 1 franchise, joining Elway (Denver), Favre (Green Bay), Peyton Manning (Indianapolis), Marino (Miami), and Brady (New England). - Manning threw for a season-high 403 yards vs. the Ravens. - Against Baltimore, Manning threw touchdown passes of 24 yards to Roger Lewis, Jr. and 75 and 66 yards to Odell Beckham, Jr. The last, on a 4th-and-one with 1:24 remaining, was the game-winner. East of the first 2 was a milestone achievement. The first was the 300th touchdown pass of Manning’s career; he became the 8th quarterback in history to throw for at least 300 scores. The 2nd broke a tie with Pro Football Hall of Famer Elway and moved Manning into sole possession of 7th place on the NFL’s career list. - Manning threw his 300th touchdown pass in his 191st game. That is the 6th fastest (or 3rd slowest) to 300 among the 8 players on the list. Peyton Manning and Marino each reached the milestone in their 157th game. - In a victory vs. the Los Angeles Rams in London (10/23), Manning completed 24 of 37 passes for 196 yards – and did not throw a touchdown pass or interception, and was not sacked. It was just the 2nd time in his career he had zero touchdown passes and interceptions while also avoiding a sack. The previous instance was on Oct. 16, 2011 in a victory vs. Buffalo. - Manning threw a season-high 4 touchdown passes in a 28-23 victory vs. Philadelphia (11/6). Beckham had 2 of the scores, and rookies Sterling Shepard and Roger Lewis, Jr. had the others. - It was the 12th and most recent game in which Manning threw exactly 4 touchdown passes; the Giants are 7-5 in those games. - Manning has thrown at least 4 touchdown passes in a game 14 times (including 1 game apiece with 5 and 6 touchdown passes). That ties Roethlisberger for the 4th-highest total among active quarterbacks, behind Brees (31), Brady (28) and Aaron Rodgers (21). The NFL record is 35 by Peyton Manning…Manning’s 14 games with 4 or more touchdown passes are twice as many as any other quarterback in Giants history. Hall of Famer Y.A. Tittle had 7 such games. - Manning threw touchdown passes of 26 and 1 yards to Beckham, 30 yards to Lewis, and 32 yards to Shepard. It was the 2nd time in his career he threw 3 scoring pass of 25 or more yards in a game. On Sept. 25, 2011 in Philadelphia, he threw touchdown passes of 40 yards to Brandon Jacobs and 74 and 28 yards to Victor Cruz. - In the last 28 seasons (1990-2017), a quarterback has thrown 3 touchdown passes of 25 or more yards in a game vs. the Eagles 3 times: Eli Manning in 2011 and 2016, and Peyton Manning on Nov. 10, 2002. - In a 21-20 Monday night victory vs. Cincinnati (11/14), Manning completed 28 of 44 passes for 240 yards, 3 touchdowns, and 2 interceptions.…Manning threw a 10-yard touchdown pass to tight end Jerell Adams for the rookie’s first NFL score, as well as touchdown passes of 10 yards to Beckham and the game-winning 3-yarder to Shepard, which was Manning’s 100th regular-season touchdown pass in MetLife Stadium. - In a 27-13 victory at Cleveland (11/27), Manning threw at least 3 touchdown passes for the 5th and last time in 2016, tying the career-high for 3-touchdown games he previously set in 2012, 2014, and 2015. - Manning completed 17 of 28 passes for 193 yards, a touchdown, and an interception in a 10-7 victory vs. Dallas (12/11)…In a 17-6 victory vs. Detroit (12/18), Manning completed 20 of 28 passes for 201 yards, touchdowns to Shepard and Beckham, and no interceptions for a passer rating of 115.3 that was just under his season-best 115.4 that he posted in Cleveland…Manning completed 71.4% of his passes, his 2nd-highest percentage of the season. He completed 78% of his passes (32 of 41) against New Orleans on Sept. 18. - Manning completed his first 11 passes, a career-high to start a game. He had previously completed his first 10 passes on 2 occasions: Nov. 13, 2011 at San Francisco, and Oct. 19, 2015 at Philadelphia.…Manning’s 20 completions increased his career total to 4,017. He became the 7th quarterback in NFL history with at least 4,000 completions. - The victory vs. Detroit was Manning’s 100th start in a home game. He was 57-43. - Manning made his 198th consecutive regular-season start and played in his 200th game at Philadelphia (12/22)…He became the 4th player in franchise history to play in at least 200 games, joining Michael Strahan (216), Howard Cross (207), and George Martin (201). - Against the Eagles, Manning threw a Giants-record 63 passes. The former record of 62 was set by Phil Simms at Cincinnati on Oct. 13, 1985 (also a loss). Manning’s previous career-high was 54 pass attempts vs. San Francisco on Oct. 11, 2015. He threw 57 passes vs. Philadelphia on Dec. 17, 2017. - Manning completed 38 passes, the 2nd-highest total of his career. He completed 41 passes in the 2015 victory vs. San Francisco. - In Philadelphia, Manning threw 63 passes without getting sacked. That was the highest number of passes thrown by an NFL quarterback without a sack since Sept. 21, 2008, when Tampa Bay’s Brian Griese threw 67 passes in an overtime victory in Chicago. The NFL record is 70 passes without being sacked, set by Drew Bledsoe on Nov. 13, 1994, in New England’s overtime victory vs. Minnesota. - Manning played in his 12th career postseason game in the Giants’ 38-13 NFC Wild Card loss at Green Bay (1/8)…That is the 2nd-highest total in Giants history. Pro Football Hall of Famer Lawrence Taylor played in 15 playoff games…Manning’s NFL-record streak of 5 consecutive road playoff games won by a starting quarterback ended…Manning is 8-2 in his last 10 postseason starts, and 8-4 overall. - Manning completed 23 of 44 passes for 29 yards, including a 41-yard touchdown to Tavarres King (which pulled the Giants to within 14-13 with 5:16 remaining in the 3rd quarter), and 1 interception (with 16 seconds left in the game). The late pick ended Manning’s streak of 155 consecutive postseason passes without a pick. His most recent postseason interception had also been in Lambeau, on Jan. 15, 2012. - Manning tied Phil Simms (44 at San Francisco on Dec. 29, 1984), for the 2nd-highest pass attempts total by a Giants quarterback in a playoff game. Manning holds the record with 58 in the 2011 NFC Championship Game, also a road game vs. the 49ers. - Manning started all 16 games for the 11th consecutive season, and increased his starting streak to 183 regular-season games in a row…Manning played in his 3rd Pro Bowl, and was invited to the game for the 4th time. - Completed 387 of 618 passes (62.6 percent) for 4,432 yards, 35 touchdowns and 14 interceptions…His 618 pass attempts and 387 completions were Giants records. He held the previous marks with 601 passes and 379 completions in 2014…Manning’s completion percentage of 62.6 was slightly below his team-record, 2014 percentage of 63.1.
record with 4,933 yards in 2011. Manning owns 6 of the eight 4,000-yard passing seasons in Giants history. Kerry Collins and Phil Simms have 1 apiece. - Manning’s 35 touchdown passes were a career-high, and left him 1 shy of the franchise record set by Hall of Famer Y.A. Tittle in 1963. - Manning’s had a career-high 93.6 passer rating. His previous best was 93.1 in 2009…Manning threw 14 interceptions in 2015, the same number he threw in 2009 and 2014. His career low is 10, which he threw in 2008. - Manning threw for at least 300 yards 6 times, increasing his career total to 39 300-yard games. The Giants were 3-3 in those games in 2015. The six 300-yard games were the 2nd-highest single-season total in Giants history. Manning holds the record with 8 in 2011. - On Nov. 1 in New Orleans, Manning threw a career-high 6 touchdown passes - 3 to Odell Beckham Jr., 2 to Dwayne Harris, and 1 to Shane Vereen. His previous best was 5 touchdown passes vs. Philadelphia on Dec. 30, 2012…The 6 touchdown passes tied for the 2nd-highest total in Giants history; Y.A. Tittle threw for 7 scores at Washington on Oct. 28, 1962, and for 6 vs. Dallas on Dec. 16, 1962. - Manning threw the 6 touchdown passes without an interception, the 15th time in NFL history a quarterback had those impressive numbers. But Manning was the 1st quarterback to do it in a loss. When Tittle set the Giants record with 7 touchdown passes on Oct. 28, 1962, he did not throw an interception. - Manning followed his 6 touchdown passes in New Orleans with 2 the following week at Tampa Bay. The 8 touchdown throws was the highest 2-game total in 1 season in his career, surpassing the 7 he had on Oct. 25-Nov 7, 2010, when he had 4 at Dallas and 3 in Seattle. He matched that total later in the season when he threw 4 touchdown passes in back-to-back-games - at Miami (12/14) and vs. Carolina (12/20) - to become the 1st quarterback in Giants history to accomplish that feat in a single season. Manning actually had a higher total 2-game total when he threw for 5 touchdowns in the 2012 season finale vs. Philadelphia, and 4 in the 2013 opener at Dallas. victory as the Giants’ starting quarterback, a franchise Giants record. He had shared the mark with Simms, who won 95 games in 15 seasons from 1979-93. - Completed 27 of 40 passes for 292 yards and 2 touchdowns, including a 67-yarder to Odell Beckham Jr., vs. Atlanta (9/20). Manning surpassed 40,000 career passing yards vs. the Falcons. His 18-yard run tied his career long…Hit 23 of 32 passes for 279 yards and 2 touchdowns in the Giants’ 1st victory of the season, vs. Washington (9/24). Did not throw an interception for the 3rd straight game. - Completed 20 of 35 passes for 212 yards and 3 touchdowns at Buffalo (10/4)...His long pass was a 51-yard touchdown to Rashad Jennings. Manning threw 142 passes without an interception, his career long streak to start a season, before Bills’ Stephon Gilmore picked 1 off late in the game. - Named NFC Offensive Player of the Week after setting a franchise record with 41 completions on a then career-high 54 passes for a season-high 441 yards and 3 touchdowns vs. San Francisco (10/11)...The former record for completions was 40 by Simms at Cincinnati on Oct. 13, 1985...Manning completed 15 consecutive passes over 3 series...The deciding score was his 12-yard pass to Larry Donnell with 21 seconds left in the game…The victory was Manning’s franchise-record 102nd (including postseason games) as a starting quarterback… Manning threw the 54 passes without being sacked, then the highest total in his career. - Was named NFC Offensive Player of the Week for the 2nd time in 2015 after completing 27 of 31 passes for 337 yards and 4 touchdowns at Miami (12/14)…Manning’s 87.1 completion percentage is a career high, and is tied for the 4th-highest single-game percentage in NFL history (minimum 30 attempts)…It was the 5th game in Manning’s career in which he completed at least 77 percent of his passes. All 5 of them were Giants road games…Manning’s passer rating of 151.5 was the highest of his career in a game in which he played all 4 quarters. 2 touchdowns vs. Philadelphia (1/3). - In 2014, Manning was 1 of 16 quarterbacks to start every 1 of his team’s games. - Manning completed 379 of 601 passes for 4,410 yards, 30 touchdowns and 14 interceptions…Manning’s 601 pass attempts and 379 completions were then Giants records. He held the previous marks with 589 passes and 359 completions in 2011. - Manning completed a career-high and franchise-record 63.1 percent of his passes in 2014. Manning’s 4,410 passing yards were then the 2nd-highest total in Giants history. - Manning’s 30 touchdown passes were then the 2nd-highest total of his career and the 4th-highest in Giants history…He threw at least 1 touchdown pass in 15 of 16 games in 2014, tying the career high he set in 2005, his 1st full year as a starter. The only game in which he did not throw a touchdown pass was the 27-0 loss at Philadelphia (10/12). - Manning’s 14 interceptions were 13 fewer than he threw in 2013…His passer rating of 92.1 was then the 3rd-highest of his career. In 2014, Manning had 8 games with a rating of at least 100.0, equaling the career high he set in 2009. - Manning had more passing yards than the opposing starting quarterback in each of the Giants’ last 9 games. That is 1 shy of the team record of 10 consecutive games, set by Y.A. Tittle in 1963 and equaled by Fran Tarkenton in 1969 and 1971. - Manning scored on a 1-yard touchdown run in the 4th quarter at Washington (9/25)…It was the 5th rushing touchdown of his career and 1st since Sept. 11, 2011, also in FedEx Field. - In victories over Houston, Washington and Atlanta from Sept. 21-Oct. 5, Manning had passer ratings of 123.2, 117.5 and 104.9. It was the 1st time he had 3 consecutive ratings of 100.0 or better since Oct. 10-25, 2010, when he had ratings of 104.4 at Houston, 100.4 vs Detroit and 125.8 at Dallas. - Manning threw 52 passes without an interception vs. Indianapolis (11/3), then the highest number of passes without a pick in franchise history. The previous mark of 51 passes without an interception was set by Scott Brunner vs. the St. Louis Rams on Dec. 26, 1982. - Manning’s 18-yard run vs. the Colts tied his career high and was the Giants’ longest rush of the game. He had last had the team’s longest run on Nov. 6, 2011 at New England, a 12-yarder. - On Nov. 9 at Seattle, Manning started his 160th career game, breaking the franchise record for quarterbacks set by Phil Simms from 1979-93…His 3rd-quarter pass in Seattle was tipped in the end zone by Beckham and intercepted by safety Earl Thomas, ending Manning’s career-long streak of 176 passes without throwing an interception. That far eclipsed Manning’s previous best of 124 passes without an interception, set in 2005. - Manning tied his career high with 5 interceptions vs. San Francisco (11/16)…He entered the game with 6 all season, including 1 in his previous 5 games. Manning also threw 5 interceptions vs. Seattle on Dec. 15, 2013. - Manning threw the 250th touchdown pass of his career, a 1-yarder to tight end Adrien Robinson, vs. Dallas (11/23). He became the 16th player in NFL history to throw at least 250 touchdown passes. - Manning completed 25 of 32 passes for 391 yards, 3 touchdowns and no interceptions for a passer rating of 148.8 at St. Louis (12/21). The rating was then his career high for a full game. Manning’s previous best was a 145.7 rating at Philadelphia on Sept. 25, 2011. - In the season finale vs. Philadelphia (12/28), Manning completed 28 of 53 passes for 429 yards, 1 touchdown and 1 interception. The 53 passes tied his then career high, set on Nov. 27, 2005 at Seattle and tied on Dec. 16, 2007 vs. Washington…Manning threw for a combined 820 yards against St. Louis and Philadelphia, the 2nd-highest 2-game total in Giants history. Phil Simms passed for 945 yards on Oct. 6 and 13, 1985 (432 vs. Dallas and 513 at Cincinnati). - In 2013, Manning started all 16 games and completed 317 of 551 passes (57.5%) for 3,818 yards, 18 touchdowns and a franchise-record 27 interceptions…Was sacked a career-high 39 times…For the 1st time since he was a rookie in 2004, Manning threw fewer touchdown passes than interceptions. That season, he threw 6 touchdown passes and 9 picks…Became the Giants’ career leader in pass attempts and passing yards to become No. 1 in all of the major passing categories. - Manning threw 24 passes in the season finale vs. Washington (12/29) to increase his career total to 5,008. He became the 21st player in NFL history to throw at least 5,000 passes. Simms is 2nd in Giants history with 4,647 pass attempts. Manning moved past Simms and into 1st place in Giants history on Oct. 6, 2013, when he threw 52 passes vs. Philadelphia. - Manning’s 1st and last passes of the season were each intercepted, the 1st by DeMarcus Ware at Dallas (9/8), the last by Washington’s Josh Wilson (12/29). - Against Washington, Manning completed 10 of 24 passes for 152 yards, a touchdown and an interception before suffering a sprained ankle that forced him to miss the 2nd half. Manning was hurt with 56 seconds remaining in the 2nd quarter, when his leg got caught under defensive end Chris Baker as he threw an incomplete pass to Peyton Hillis. On the next play, Manning threw the pass that was intercepted by Wilson. It was just the 2nd time in his career that Manning left a game early with an injury. On Sept., 9, 2007 in Dallas, Manning bruised his shoulder on a failed 2-point conversion in the 4th quarter. He later threw his 4th touchdown pass of the game, but was replaced by Jared Lorenzen on the Giants’ final possession. Manning started the following week vs. Green Bay. - Manning completed 78.6 percent of his passes (22 of 28), while Robert Griffin III lagged slightly behind at 75 percent (24 of 32) at Washington (12/1). It was the 1st time since the 1970 merger that each of the starting quarterbacks in a Giants game completed at least 75 percent of their passes. Manning’s completion percentage of 78.6 was then the 2nd-highest in his career for a full game. - Completed 23 of 42 passes for 256 yards, 1 touchdown and an interception in an overtime victory at Detroit (12/22), where he led the Giants on an 11-play, 45-yard drive that ended with Josh Brown’s game-winning 45-yard field goal with 7:28 elapsed in overtime…Hit 25 of 35 passes for 279 yards, a touchdown and an interception vs. Green Bay (11/17)…Completed 23 of 39 passes for 200 yards and 1 touchdown in the Giants’ 1st victory of the season vs. Minnesota (10/21)…Threw a season-high 52 passes (completing 24 for 334 yards, 2 touchdowns and 3 interceptions) vs. Philadelphia (10/6)…Had season-high totals of 450 yards and 4 touchdown passes in season opener at Dallas (9/8). - Started all 16 games and completed 321 of 536 passes (59.9%) for 3,948 yards, 26 touchdowns, 15 interceptions and a passer rating of 87.2. His streak of consecutive 4,000-yard seasons ended at 3. - Originally a 2nd alternate, he played in his 2nd Pro Bowl after Green Bay’s Aaron Rodgers pulled out of the game. (12/30)...It was then the 5th time in history a Giants quarterback threw for at least 5 touchdowns in a game…Manning threw 3 touchdown passes in a 1st quarter for the only time in career. His only other 3-touchdown-pass quarter was in the 4th at Seattle on Sept. 24, 2006, when he helped the Giants close a 42-3 deficit to 42-30. - Manning’s 9-yard pass to Domenik Hixon in the 2nd quarter at Atlanta (12/16) was the 2,577th completion of Manning’s career, a Giants record. passer rating of 99.6 vs. New Orleans (12/9)...It was his 7th career 4-touchdown game, tying Tittle’s franchise record. Hakeem Nicks in the 3rd quarter…Manning’s career-long, 106-pass streak without a touchdown pass ended when he threw a 16-yard score to Randle with 2:38 remaining in the 1st quarter. - Hit 10 of 24 passes for 125 yards and 1 interception vs. Pittsburgh (11/4)...Increased his career total to 30,005 yards, passing Randall Cunningham (29,979) to become the 34th quarterback in history with at least 30,000 passing yards. - Completed 26 of 40 passes for 337 yards vs. Washington (10/21)...It was his 25th regular-season 300-yard game...Found Cruz deep downfield for a game-winning 77-yard touchdown with 1:13 remaining. It is the longest game-winning touchdown in the final 2 minutes of a game in Giants history. - Completed 15 of 28 passes for 193 yards, 1 touchdown and no interceptions in a 26-3 rout of the eventual NFC champion 49ers at San Francisco (10/14)…The 193 yards ending his streak of consecutive regular-season games with at least 200 passing yards at 24, then the 2nd-longest in NFL history. - Completed 25 of 37 passes for 259 yards, 3 touchdowns to Cruz and 1 interception vs. Cleveland (10/7)...Posted his 24th consecutive 200-yard passing game, then the 2nd-longest streak in NFL history behind Hall of Famer Dan Fouts’ 45 in a row from 1980-83...Led Giants on touchdown drives of 92 and 95 yards. - Completed 24 of 42 passes for 309 yards, 2 touchdowns and 1 interception at Philadelphia (9/30)...It was Manning’s 23rd consecutive game with at least 200 passing yards, breaking a tie with New Orleans’ Drew Brees (2007-09) to give Manning what was then the 2nd-longest streak in history. - Passed for a career-high 510 yards while completing 31 of 51 passes, 3 touchdowns and 3 interceptions in a comeback victory vs. Tampa Bay (9/16). It was the 1st time in Giants history they won a regular season-game in which they threw at least 50 passes...Manning’s previous career high was 420 yards vs. Seattle on Oct. 19, 2011…Manning’s 51 passes increased his career total to 4,004 to join Simms as the only Giants quarterbacks to throw at least 4,000 passes...Manning’s 510 yards were the 2nd-highest total by a quarterback in Giants history, behind Simms’ 513 yards at Cincinnati on Oct. 13, 1985. It was the 2nd-highest total by an NFL quarterback in 2012 – and the highest total in a game that was completed in 4 quarters. Houston’s Matt Schaub threw for 527 yards in an overtime victory vs. Jacksonville on Nov. 18…Manning became the 9th quarterback in history to throw for at least 510 yards in a regular-season game…Manning, Cruz (11 receptions for 179 yards) and Nicks (10 for 199 yards) joined 3 Hall of Famers – quarterback Norm Van Brocklin and receivers Elroy (Crazy Legs) Hirsh and Tom Fears of the 1951 Los Angeles Rams - as the only teammates in history with 500 passing yards, plus 2 receivers with at least 150 yards, in the same game. - Manning started all 16 regular-season games and 4 postseason games, and set Giants records for pass attempts (589), completions (359) – which he has since broken - and yards (4,933). The yardage total was the 4th-highest in the NFL in 2011, and then the 6th-highest in league history. It was Manning’s 3rd consecutive 4,000-yard season. - Manning’s 29 touchdown passes were then the 2nd-highest total of his career (31 in 2010) and his 16 interceptions were 9 fewer than he threw the previous season. His passer rating of 92.9 was then the 2nd-highest of his career (93.1 in 2009). - Manning led the Giants to their 3rd NFC East championship and 5th postseason berth in his first 7 full seasons as the team’s quarterback. - In the Giants’ 4-game postseason, Manning completed 106 of 163 passes (65.0%) for 1,219 yards, 9 touchdowns and 1 interception while leading the Giants to their 2nd Super Bowl victory in 5 seasons. - Manning was 1 of 2 quarterbacks to throw every 1 of his team’s passes in 2011. The other was San Diego’s Philip Rivers. Manning and Rivers were traded for each other during the 2004 NFL Draft…Manning was the only quarterback to throw every 1 of his team’s passes in both the 2010 and 2011 seasons…With Manning throwing every pass, the Giants shattered a team record with 295.5 passing yards a game. The former record, set in 2009, was 251.2 yards. - Manning had a career-high eight 300-yard passing games. That increased his .career total to 22, breaking Simms’ former team record of 21…Manning threw for at least 400 yards 3 times: 420 vs. Seattle (10/9), 406 at New Orleans (11/28), and 400 at Dallas (12/11).  - The Giants led the NFL with 18 completions of 40 or more yards in 2011. Green Bay and Detroit tied for second with 16. - Manning was selected to his 2nd Pro Bowl (though he didn’t play in the game because the Giants participated in the Super Bowl). - Manning was the 1st NFL quarterback to throw at least 4 touchdown passes of at least 72 yards since Kurt Warner of St. Louis in 2000 (6). He was the 1st Giants quarterback to do it since Earl Morrall threw 4 in 1965. - Manning threw an NFL-record 15 fourth-quarter touchdown passes in 2011. The previous record of 14 was set by Hall of Famer Johnny Unitas in 1959 and tied by Peyton Manning (2002). - Manning led the Giants to 5 victories in 2011 in which they trailed in the 4th quarter (not counting a comeback in the NFC Championship Game) - plus 1 in which they were tied. The Giants’ 5 victories after trailing in the 4th quarter tied the franchise record set in 2002. - In the Giants’ 21-17 victory against New England in Super Bowl XLVI (2/5/12), Manning completed 30 of 40 passes (75%) for 296 yards, 1 touchdown and no interceptions (a passer rating of 103.8). He was voted the winner of the Pete Rozelle Trophy, awarded to the game’s most valuable player. It was his 2nd Super Bowl MVP Award. - In the Super Bowl, Manning rallied the Giants from a 17-9 3rd-quarter deficit while leading scoring drives on 3 of the team’s 4 second-half possessions…Manning completed his first 9 passes, a record for consecutive completions to begin a Super Bowl. - Manning set Giants postseason records with 58 passing attempts and 32 completions in a 20-17 overtime victory at San Francisco in the NFC Championship Game (1/22/12). It was the 1st time in their history the Giants won a game when throwing at least 50 passes; they had been 0-18 in such games (all in the regular season). - Completed 21 of 33 passes for 330 yards, 3 touchdowns and 1 interception in a 37-20 victory at Green Bay in an NFC Divisional Playoff Game (1/15/12). Manning’s 66-yard pass to Hakeem Nicks is the 4th-longest play in Giants postseason history. - Manning completed 23 of 32 passes for 277 yards, 3 touchdowns and no interceptions in a 24-2 defeat of Atlanta in an NFC Wild Card Game (1/8/12). - Manning’s 72-yard touchdown pass to Nicks vs. Atlanta is tied for the longest postseason play in Giants history. Scott Brunner threw a 72-yard pass to Earnest Gray at San Francisco on Jan. 3, 1982. Manning’s previous long postseason pass was a 52-yard touchdown to Amani Toomer in an NFC Divisional Playoff Game at Dallas on Jan. 13, 2008. It was Manning’s 5th touchdown pass of more than 70 yards in 2011 and the 1st caught by someone other than Victor Cruz. - Hit 24 of 33 passes for 346 yards, 3 touchdowns and no interceptions in the Giants’ 31-14 victory over Dallas (1/1/12) that clinched the NFC East title. - In a 29-16 victory at the Jets (12/24), Manning threw a short pass to Cruz, who took the ball all the way down the field for a 99-yard touchdown, the longest play in Giants history. The previous long play was a 98-yard pass from Earl Morrall to Homer Jones at Pittsburgh on Sept. 11, 1966. It was the 4th pass of at least 90 yards in Giants history…Manning’s previous long throw was a 92-yard touchdown to Mario Manningham at Washington on Jan. 2, 2011. - Manning’s pass to Cruz was the 13th 99-yard touchdown pass (and the 14th 99-yard play from scrimmage) in NFL history. On Sept. 12 that season, New England’s Tom Brady and Wes Welker hooked up for a 99-yard touchdown pass against the Dolphins in Miami. The 2011 season was the 1st in NFL history with two 99-yard touchdown passes – and they were thrown by the quarterbacks that started in that season’s Super Bowl. - Manning completed 27 of 47 passes for 400 yards, 2 touchdowns and 1 interception in the Giants’ 37-34 victory at Dallas (12/11). Manning led the Giants to 2 touchdowns in the final 3:14 to overcome a 12-point deficit, the 1st time the Giants won under such circumstances since Sept. 21, 1969, when they trailed Minnesota, 23-10, before Fran Tarkenton threw 2 touchdown passes to Don Herrmann in the final 4:48 for a 24-23 victory. The victory in Dallas was the 1st time in their then 87-year history the Giants won a road game by overcoming a deficit of at least 12 points with less than 5 minutes remaining. - That victory over the Cowboys was the 2nd game in 2011 in which the Giants won by scoring 2 touchdowns in the final 3:30. They did it at New England (11/6), though the 2nd, game-winning score was necessitated by a touchdown the Patriots scored between the 2 by the Giants. Against the Patriots, Manning completed 20 of 39 passes for 250 yards, 2 touchdowns and no interceptions. - Manning shattered a team record by completing 21 consecutive passes from late in the 2nd quarter to late in the 4th quarter at New Orleans (11/28). That was tied for the 6th longest streak in NFL history and was the longest since his brother, Peyton Manning, hit 23 straight on Dec. 14 and Dec. 18, 2008 vs. Detroit (6) and Jacksonville (17). It was the longest 1-game streak since David Carr, who was then Manning’s backup, completed 22 consecutive passes for Houston vs. Buffalo on Nov. 19, 2006…The previous Giants record of 13 in a row was set by Phil Simms at Cincinnati on Oct. 13, 1985 and tied by Kerry Collins on Sept. 10 and 17, 2000 (at Philadelphia and Chicago). Manning’s previous best had been 12 in a row at Atlanta on Oct. 15, 2007. - Manning threw for a then career-high 420 yards while completing 24 of 39 passes vs. Seattle (10/9)…He was selected NFC Offensive Player of the Week for his performance at Philadelphia (9/25), where he completed 16 of 23 passes for 254 yards, 4 touchdowns and no interceptions in a 29-16 victory. His passer rating of 145.7 was then the 2nd-highest of his career and his highest in a game in which he threw more than 10 passes (he had a 158.3 rating vs. Oakland in 2009, but played only the first 5 series). It was the 5th-highest passer rating by a Giants quarterback since the NFL went to a 16-game schedule in 1978. - Manning started all 16 games and completed 339 of 539 passes (62.9%) for 4,002 yards, 31 touchdowns and 25 interceptions. He had four 300-yard passing games…He was 1 of 4 players to throw every 1 of his team’s passes in 2010. The others were Indianapolis’ Peyton Manning, Houston’s Matt Schaub and St. Louis’ Sam Bradford. - The 339 completions and 62.9 completion percentage were then franchise single-season records. The previous records were 335 completions by Collins in 2002 and the 62.8 completion percentages by Jeff Hostetler in 1991 and Kurt Warner in 2004… Manning’s 539 passes were then the 2nd-highest total of his career (he threw 557 passes in 2005) and was the 4th-highest total in Giants history (Collins threw 568 passes in 2001 and 545 in 2002)…His 31 touchdown passes were then the 3rd-highest total in Giants history and the most by a Giants quarterback in 47 years. Y.A. Tittle threw 36 in 1963 and 33 in 1962. - With his 4,002 yards, Manning became the 1st Giants quarterback with two 4,000-yard seasons. He threw for 4,021 yards in 2009. Collins (4,073 in 2002) and Simms (4,044 in 1984) are the only other Giants to pass for more than 4,000 yards. - Manning’s 4,002 yards were the 5th-highest total in the NFL...Manning’s 31 touchdown passes were the league’s 4th-highest total. - Manning tied a franchise record by throwing 25 interceptions, a total previously reached by Frank Filchock in 1946 and Charlie Conerly in 1953. - Manning threw then career-long touchdown passes on consecutive weeks: an 85-yarder at Green Bay (12/26) and a 92-yarder at Washington (1/2/11), both to Mario Manningham. The 92-yard throw was the NFL’s longest play from scrimmage in the 2010 season. - Manning set franchise records for the most attempts (3,169), completions (1,838), passing yards (21,465) and touchdown passes (148) in a player’s first 100 games as a Giant. - Manning threw a then career-high 34 completions vs. Dallas (11/14) and had 33 completions and threw for a season-high 386 yards vs. Tennessee (9/26)…He threw a then career-high 48 passes without being sacked on Nov. 14 vs. Dallas. - On Nov. 21, Manning started the Giants’ game in Philadelphia 6 years to the day after his 1st game as the Giants’ starting quarterback. On Nov. 21, 2004, the Giants lost to Atlanta, 14-10. The Falcons’ starting quarterback in that game was Michael Vick, who was the Eagles’ starter 6 years later in Philly. - Manning twice tied his then career-high by throwing 4 touchdown passes: at Dallas (10/25) and vs. Philadelphia (12/19)…He was sacked just 16 times all season and was not sacked in a 5-game stretch from Nov. 7 through Dec. 5…Had a season-high passer rating of 125.8 at Seattle (11/7), where he completed 21 of 32 passes for 290 yards, 3 touchdowns and no interceptions. - Manning started all 16 games and completed 317 of 509 passes (62.3 percent) for 4,021 yards, 27 touchdowns, 14 interceptions and a passer rating of 93.1. The completions, percentage, yards, touchdowns and rating were then career highs. - Manning became the 3rd quarterback in Giants history to throw for more than 4,000 yards in a season, joining Collins (4,073 in 2002) and Simms (4,044 in 1984)…He threw at least 1 touchdown pass in every game except the losses at Denver (11/26) and Minnesota (1/3). - Manning played only the first 5 series in a 44-7 rout of Oakland (10/11) and left the game with a perfect passer rating of 158.3. He completed 8 of 10 passes for 173 yards, 2 touchdowns and no interceptions. - Manning completed 19 of 26 passes for 268 yards, 3 touchdowns and no interceptions at Washington (12/21) for a passer rating of 144.4 that was then the 2nd-highest of his career, topped only by his 158.3 rating vs. Oakland. His previous best rating on the road was 131.4 at St. Louis on Sept. 14, 2008. - The game at Washington was the 2nd week in a row Manning threw for 3 scores without an interception and was the 2nd time in Manning’s career he threw 3 touchdown passes in consecutive games. He did it at Philadelphia and Seattle on Sept. 17 and 24, 2006. - When Manning threw his 100th touchdown pass at Dallas, he became the 111th quarterback in NFL history to reach that mark. Eli and Peyton Manning were the 1st pair of brothers to each throw for 100 touchdowns in their career. - Manning threw 3 touchdown passes of at least 60 yards in 2 weeks: a 74-yarder to Brandon Jacobs vs. Dallas (12/6), and a 68-yarder to Hakeem Nicks and 61-yarder to Domenik Hixon vs. Philadelphia (12/13)…He is 1 of just 8 quarterbacks in NFL history with touchdown passes of at least 60 yards to 3 different receivers in a two-game span…Manning was the 1st Giants quarterback to throw 2 touchdown passes of 60 or more yards in the same game since Collins did it vs. the Jets on Dec. 5, 1999 (scores of 61 and 80 yards to Amani Toomer). The last Giants quarterback to accomplish the feat in back-to-back games was Simms on Sept. 2 and 9, 1984, also in home games vs. Philadelphia and Dallas. - Manning started all 16 regular-season games and the NFC Divisional Playoff Game…He led the Giants to the NFC East title and their 4th consecutive postseason berth, a franchise record. Only 1 other QB had then led his team to the playoffs in 4 consecutive seasons – Peyton Manning. - Manning completed 289 of 479 passes (60.3%) for 3,238 yards, 21 touchdowns and 10 interceptions for a passer rating of 86.4. The completion percentage and rating were then career highs. The 10 interceptions were his lowest total since he threw 9 as a rookie and were half his 2007 total. - Manning was named the NFC Offensive Player of the Month in November and Sporting News’ 2008 Pro Athlete of the Year. - Manning started all 16 regular-season games and 4 postseason games and led the Giants to victory in Super Bowl XLII…In the regular season, he completed 297 of 529 passes (56.1%) for 3,336 yards, 23 touchdowns and 20 interceptions for a passer rating of 73.9. In 4 postseason games, Manning completed 72 of 119 passes (60.5%) for 854 yards, 6 touchdowns and 1 interception for a rating of 123.2. - Manning threw 4 touchdown passes while completing 28 of 41 throws for 312 yards at Dallas (9/9). Three of the scoring passes went to Plaxico Burress, the other to Derrick Ward…Left the game in the 4th quarter with a bruised shoulder…Despite the injury, Manning started the next week vs. Green Bay. - Led the Giants to their 1st victory of the season at Washington (9/23), where he completed 21 of 36 passes, including the game-winning 33-yard touchdown pass to Burress in the 4th quarter…Threw 4 touchdown passes vs. New England (12/29). Two of the scores went to Burress and 1 each to Brandon Jacobs and Kevin Boss…Completed 22 of 32 passes for 251 yards and 1 interception for a passer rating of 118.6. - Opened postseason play by completing 20 of 27 passes for 185 yards, 2 touchdowns and no interceptions in NFC Wild Card Game victory at Tampa Bay (1/6/08)…Became the 5th Giants QB to win a postseason game since Giants Stadium opened in 1976, joining Simms, Hostetler, Collins and Scott Brunner. - Completed 12 of 18 passes for 163 yards and 2 touchdowns to Amani Toomer in NFC Divisional Playoff Game at Dallas (1/13/08)…His 52-yard touchdown pass to Toomer was then his longest postseason completion…Successfully engineered a 2-minute drive in the 2nd quarter by completing 4 passes for 56 yards on a 7-play, 71-yard march in just 46 seconds that resulted in a 4-yard touchdown pass to Toomer that left the teams tied at halftime, 14-14. - Played another turnover-free game and completed 21 of 40 passes for 251 yards in minus-23 degree wind chill in the Giants’ NFC Championship Game victory at Green Bay (1/20/08)…Increased his streak to 101 consecutive postseason passes without an interception. - Manning was named the Most Valuable Player of Super Bowl XLII after completing 19 of 34 passes for 255 yards, 2 touchdowns and 1 interception that bounced off Steve Smith’s hands in the Giants’ victory over the New England Patriots…Led the Giants on their game-winning 4th quarter drive by completing 5 of 9 passes for 77 yards, including the go-ahead 13-yard touchdown pass to Burress with 35 seconds remaining. The most memorable play on the drive was a 32-yard completion to David Tyree, who secured the ball against his helmet after Manning eluded the grasp of several defensive lineman…Threw a 5-yard touchdown pass to Tyree early in the 4th quarter that was set up by passes of 45 yards to Kevin Boss and 17 yards to Steve Smith…Manning was intercepted by cornerback Ellis Hobbs with 11:53 remaining in the 2nd quarter. It was the Giants’ only offensive turnover in their 4-game postseason. The offense had gone 34 possessions and run 213 plays without turning over the ball. The previous turnover had been in the regular season finale against the Patriots – also an interception by Hobbs of a Manning pass. Manning had thrown 103 consecutive passes without an interception, including 95 in the postseason. He threw 111 postseason passes in a row without a pick. - Started all 16 regular-season games and the NFC Wild Card Game…Completed 301 of 522 passes (57.7%) for 3,244 yards, 24 touchdowns and 18 interceptions for a passer rating of 77.0…Manning’s 24 touchdown passes matched his 2005 total; he was the 1st Giants quarterback to throw at least 20 touchdown passes in consecutive seasons since Simms did it 3 years in a row from 1984-86. - Completed a then career-high 31 passes on 43 attempts for 371 yards with 3 touchdowns, 1 interception and a rating of 111.7 at Philadelphia (9/17)…In overtime, Manning hit all 8 of his passes for 83 yards, including a 31-yard touchdown pass to Burress to give the Giants a 30-24 comeback victory after they trailed by 17 at the start of the 4th quarter. - Completed 16 of 27 passes for 161 yards, 2 touchdowns, and 1 interception in the NFC Wild Card Game at Philadelphia (1/7/07)…The Giants scored on their opening possession when Manning threw a 17-yard touchdown pass to Burress…Tied the game at 20-20 with an 11-yard touchdown pass to Burress in the 4th quarter. - Started all 16 regular-season games and the NFC Wild Card Game in his 1st full season as the starting quarterback…Led the Giants to the NFC East championship…Completed 294 of 557 passes (52.8%) for 3,762 yards with 24 touchdowns and 17 interceptions for a passer rating of 75.9…Manning’s 24 touchdown passes were the most by a Giants quarterback since Fran Tarkenton had 29 in 1967…Completed 12 of 24 passes for 204 yards, 1 touchdown and no interceptions in a victory at Oakland (12/31) that clinched the division title…Threw a then career-long 78-yard touchdown pass to Burress. - Scored on a 1-yard quarterback sneak in the 2nd quarter at Philadelphia (12/11), his 1st career rushing touchdown and the 1st by a Giants quarterback since Kurt Warner scored on a 1-yard run vs. Cleveland (9/26/04). - Threw a then career-high 53 passes (completing 29) for 344 yards, 2 touchdowns and 1 interception at Seattle (11/27). The 53 passes were the most thrown by the Giants since Collins had 59 at New England (10/12/03). It was the 12th consecutive game in which Manning threw at least 1 touchdown pass, 3 shy of the Giants record set by Y.A. Tittle from 1962-64. - Completed 23 of 42 passes for 214 yards, 2 touchdowns and 1 interception vs. Denver (10/23)…Led the Giants on 2 touchdown drives in the 4th quarter to secure his 2nd career 4th quarter come-from-behind-victory. His 2-yard touchdown pass to Toomer with 5 seconds remaining in the game gave the Giants a 24-23 victory. On the game-winning 83-yard drive, Manning completed 8-of-13 passes for 68 yards. - Hit 19 of 35 passes for 296 yards and 4 touchdowns vs. St. Louis (10/2) to become the 1st Giants quarterback to throw 4 touchdown passes in a regular-season game since Collins did it at Indianapolis on Dec. 22, 2002. Collins matched the feat in an NFC Wild Card playoff game at San Francisco (1/5/03). - As a rookie in 2004, played in 9 games, including starts in the final 7 games…Improved markedly down the stretch and finished with 95 completions in 197 attempts for 1,043 yards, 6 touchdowns and 9 interceptions. - Earned his 1st NFL victory in the 2004 season finale vs. Dallas, completing 18 of 27 passes for 144 yards, 3 touchdowns, 1 interception and a rating of 101.5…Manning threw touchdown passes of 2 yards to Visanthe Shiancoe in the 2nd quarter, and 15 yards to Tyree and 3 yards to Tiki Barber, both in the 4th quarter. Completed a 23-yard pass to Barber to start the Giants game-winning drive and called a run at the line on which Barber scored the deciding touchdown on a 3-yard run with 11 seconds remaining. - Made his 1st NFL start vs. Atlanta (11/21) and completed 17 of 37 passes for 162 yards, 1 touchdown and 2 interceptions. His 1st NFL touchdown pass was a 6-yarder to Jeremy Shockey. Coincidently, the initial pro scoring pass for all 3 Manning quarterbacks was 6 yards long. Archie Manning threw a 6-yarder to Dave Parks on Sept. 19, 1971. Peyton Manning's 6-yard touchdown pass went to Marvin Harrison on Sept. 6, 1998. - Manning was the 18th quarterback to start a game for the Giants since Giants Stadium opened in 1976 (including Craig Morton and Norm Snead, who joined the team earlier and were still on the roster when the stadium opened). He was the 4th quarterback in a row to lose his debut, joining Kerry Collins, Jesse Palmer and Kurt Warner…Of the 14 quarterbacks selected with the No. 1 overall pick in the NFL Draft between 1970-2004, he was the 13th to make his starting debut as a rookie (Cincinnati's Carson Palmer was the exception). The 13 quarterbacks taken with the top pick who started as rookies are 4-9 in their debuts. - Saw his 1st NFL regular season action when he replaced Warner with 2:37 remaining in the 4th quarter at Philadelphia (9/12), with the Giants trailing, 31-10. He completed 3 of 9 passes for 66 yards, including a 34-yarder, no touchdowns and no interceptions. Was sacked once and fumbled after being blindsided by Jerome McDougle. On his 1st career snap, he handed the ball off to Barber, who ran 72 yards for a touchdown. Manning’s long completion of 34 yards was a short screen pass to Barber on the final drive of the game. - Manning was only the 5th quarterback in Southeastern Conference history to throw for more than 10,000 career yards…Left Ole Miss owning 47 school game, season and career records...Completed 829 of 1,363 passes (60.8%) for 10,119 yards, 81 touchdowns and 35 interceptions…Averaged a school-record 7.42 yards per attempt…His passing yards and total offensive yardage ranked 5th in SEC history, while his pass attempts and completions rank 4th…Manning’s 81 touchdown tosses ranked 3rd and his 86 total scores (81 passing, 5 rushing) rank 4th in SEC history…Set an Ole Miss career mark for average yards per offensive play (rush or pass), 6.70…His 1,491 career offensive plays rank 1st in school history…Set school career marks for 300-yard games of total offense (9) and 350-yard games of total offense (6)…Also set Ole Miss career records for consecutive games with a touchdown pass (16) and consecutive 200-yard passing games (11)...Won the Maxwell Award, given to the nation’s top collegiate player, and the Johnny Unitas Golden Arm Award, given to the nation’s top senior quarterback...Finished 3rd in the 2003 Heisman Trophy balloting...Finalist for the Davey O’Brien Award, presented to the nation’s top quarterback, and The Walter Camp Foundationt Player of the Year Award...Earned 1st team All-America honors from Southern Football Weekly, adding 2nd-team accolades from The Sporting News and honorable mention from Sports Illustrated…All-Southeastern Conference 1st-team pick and named the SEC Offensive Player of the Year by the Associated Press and the league’s coaches...Also selected as the SEC Player of the Year by the Commercial Appeal...Earned the Conerly Trophy, given to the top collegiate player in the state of Mississippi (also won the Conerly Trophy in 2001)...Named 1 of 15 scholar-athletes by the National Football Foundation and College Hall of Fame, and received an $18,000 post-graduate scholarship...Finalist for Draddy Trophy (academic Heisman), given to the top scholar-athlete in the nation...Named to the SEC Good Works Team. - Named the co-winner of the 2016 NFL Walter Payton Man of the Year Award, sharing this title with Larry Fitzgerald of the Arizona Cardinals…Received the Ernie Accorsi Humanitarian Award at the Elite 11 NYC National Football Foundation dinner…Received the Ann and Wellington Mara Award at the Vision of Hope dinner to benefit Boys Hope Girls Hope of New York…Head of the Tackle Kids Cancer initiative at Hackensack UMC to raise funds and awareness for pediatric cancer patients, where 100% of all donations benefit the essential clinical care, unique support services and groundbreaking cancer research needed to find a cure…Launched “Eli’s Challenge” by pledging to match grassroots donations from local organizations to Tackle Kids Cancer, dollar-for-dollar, up to $100,000…Visited Hackensack UMC Children’s Hospital during the holidays to distribute gifts to the patients and spread holiday cheer...Pledged $1 million to contribute to the efforts to raise $100 million for the Batson Children’s Hospital in Jackson, Miss. to improve and expand the neonatal intensive care unit, add surgical suites and ICU rooms and develop the outpatient clinic...Raised awareness for Tackle Kids Cancer by wearing custom designed cleats for the NFL’s “My Cause My Cleats” initiative in Week 13…Participated in the March for Babies NYC annual fundraiser walk…During Salute to Service month, played video games at the Quest Diagnostics Training Center against military veterans through the Wounded Warrior Project and led the veterans through a tour of the facility… Played in the Giants Foundation Golf Invitational at Westchester Country Club with foundation supporters, team sponsors/clients and teammates…Answered questions from fans at the 2018 Giants Town Hall event at the Beacon Theatre, held exclusively for season ticket holders and sponsors…Every summer, along with his father Archie and brothers Cooper and Peyton, Eli helps operate the Manning Passing Academy, a summer camp for high school quarterbacks and receivers…Supports the Make A Wish Foundation and has granted wishes on a yearly basis, hosting wish kids and their families at practices and games…Has been a leader in supporting the National Football League and American Heart Association's campaign, PLAY60, a national youth movement and awareness initiative designed to promote physical fitness and healthy living to an increasingly inactive generation of children. - Married (Abby). They have 3 daughters (Ava Frances, Lucy Thomas and Caroline Olivia). - As a senior, guided the Isidore Newman School in New Orleans to an 11-1 record and a berth in the state quarterfinals for the 2nd straight year...Finished with career totals of 429 completions of 725 passes (59.2%) for 7,389 yards and 81 touchdowns with only 24 interceptions…All-American, All-State and All-District pick...USA Today Player of the Year in Louisiana...All-Metro MVP...Super Prep Louisiana Top 38, ranking 7th. - Marketing major. Made the Chancellor's Honor Roll in Fall of 1999 and Fall of 2002, the Dean's Honor Roll in Spring of 2000 and Fall of 2000, the U.M.A.A. Honor Roll in Spring of 2001, Spring of 2002 and Spring of 2003...Named to the 2000, 2001 and 2002 SEC Academic Honor Roll, to the 2001 and 2002 Verizon District VI All-Academic first-team and to the 2001 Verizon national All-Academic second-team. - Son of Archie and Olivia Manning...Archie Manning was the second pick of the 1971 draft and played 14 years with New Orleans, Houston and Minnesota. Brother, Peyton played at Tennessee and was the No. 1 pick in the 1998 draft by the Indianapolis Colts…Oldest brother, Cooper, was a freshman member of the Ole Miss football team in 1992, but a congenital narrowing of the spinal canal and a bulging disk in his neck ended a promising career. - Full name is Elisha Nelson Manning.